There are countless ways to raise money before and during your Dreams Game that can be fun for players, fans and your community. Be creative! Kyle's Kamp welcomes your ideas for having a successful game night! #1 way is to use the Donor Drive website that we create for you for your team to raise funds for Children's online. Design your own special game night t-shirts to sell to your student body and fans before and during your game. Find our logo in the link above to use for T-shirts, posters and flyers. 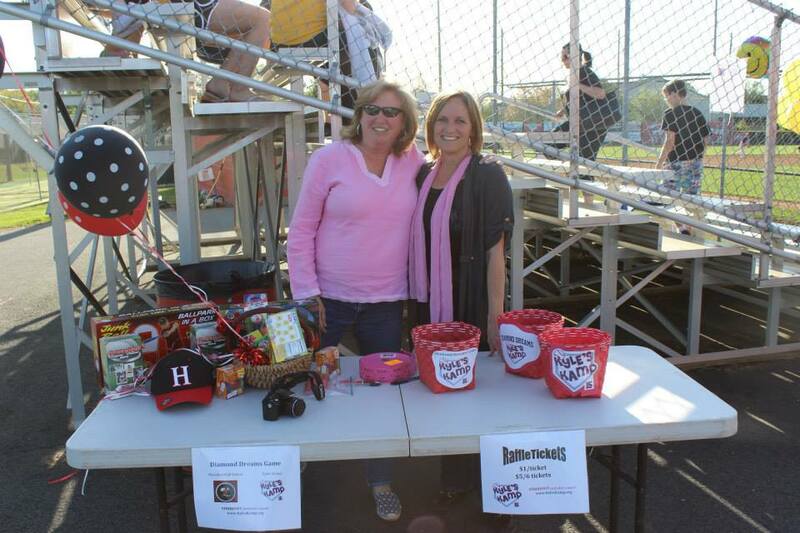 Collect prizes from community businesses to raffle off during your game. Hold a 50/50 raffle during your game. Collect silent auction items for fans to bid on during the game. 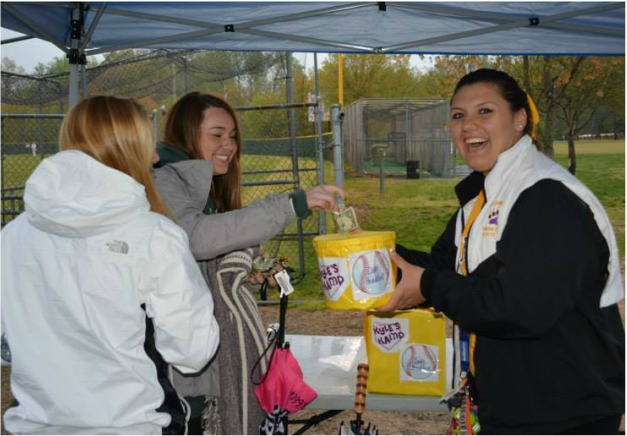 Gain approval from your Athletic Director to donate a portion of or all gate fees to the cause. Gain approval from your Booster Club to donate a portion of or all concession earnings to the cause. Sell slips of paper (perhaps in the shape of a bat, ball or awareness ribbon) to sell for a designated dollar amount. Purchasers can then write "In memory of . . " or "In honor of . . ." a child fighting cancer on the paper. These can be displayed on the gate during the game.